I’ve been attending trade shows for many years; the International DJ Expo in Atlantic City, the Mobile Beat Show & Conference in Las Vegas, and a couple of other regional gatherings. They take time and money, so why do I keep attending year after year? Because there’s always something new to learn, people to meet, friendships to reunite, cool gear to be found – and the benefits always outweigh the costs. DJ conventions offer perfect opportunities for networking and education (in seminars and in the hallways). When you attend a trade show, you will be learning about new and cutting-edge products and services that have not even hit the market. And, you can get some great deals on gear, as well! Trade Shows are an excellent opportunity to meet face-to-face with industry writers, publishers and video producers to present story ideas, and to establish ongoing relationships. The show itself is the tip of a much larger iceberg. What happens after the show is just as important as what you do during it. For that reason, it’s essential to focus your attention equally on making connections and following up with them. Determine your objectives. Decide just what you want to accomplish. Are you after new friends? Strengthening relationships with existing ones? Checking out the competition? Learning about new products and technologies? Be prepared. Make sure you bring plenty of business cards, and hand them out liberally. They are the quintessential tool of networking. Introduce yourself. Don’t be afraid to make the first move. You can meet DJs from all over the country and world this way – and may new relationships were born from a handshake. Jot down information on the back of people’s business cards if you have agreed to any follow-up from meeting someone. Attend seminars. These are very important because they will educate you on a variety of topics that can help make your business stronger. Have a pen and notebook ready for note taking. Talk to exhibitors. Don’t just assume that you’re not interested in a product before you really know about it. Take time during the show to visit all of the booths in the exhibit hall and talk with the vendors. You may be pleasantly surprised. Take advantage of deals. There are always show specials, discounts and sales to be found, so think about what you need in advance, and be open to finding something unexpected and awesome. Take some breaks. Attending a trade show can be a very intense experience. Every few hours take some time to refresh, have a snack and get some fresh air. Follow-up, Follow-up, Follow-up. This is where the majority of DJs fail to make the most of a trade show. Call, email, become Facebook friends, and subscribe to peoples YouTube and Ustream channels. By doing these things you will truly maximize the value of your initial contact. Identify if your objectives were met. Determine if the cost of attending the trade show has had a positive long-term effect for you and your business. Evaluate if you had not attended the trade show, what would have been the cost and time to achieve the same amount of business. If you planned your attack, you will be confident in knowing the time you have spent at the show was worthwhile. 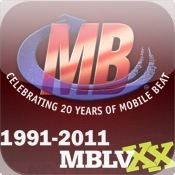 Several of the staff from Pro Mobile DJ will be attending Mobile Beat, February 1-3, so please do introduce yourself to me, Jason Jani, Mike Walter, Ben Stowe, Ray Martinez, Matt Ryan and Adam Hirschhorn. We’d love to meet you! To her credit, Stacy Zemon has spawned more professional Mobile DJ business owners than anyone in the industry — anywhere! She is widely considered a leading authority and has become a distinguished leader during the course of her extensive career as a DJ Entertainer. Stacy is author of the world’s best-selling DJ books: The Mobile DJ Handbook, The DJ Sales & Marketing Handbook and The Mobile DJ MBA, and is a longtime writer for DJ Times magazine. Her mission is to provide educational resources for DJs that support their professional growth and financial prosperity. Write to her c/o Stacy@ProMobileDJ.com or call 877-442-7170. To Entertain Children, Must You Have Your Own?